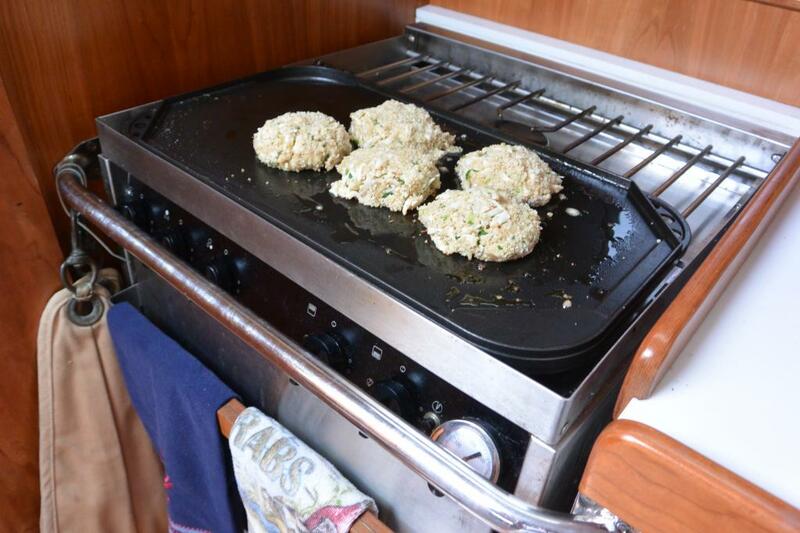 For a day sail on the Chesapeake Bay with out-of-town guests, the must have lunch is crab cakes. I’ll be honest. 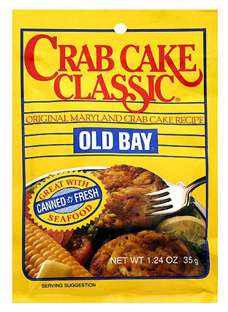 The Old Bay Crab Cake Classic mix is my fall back. 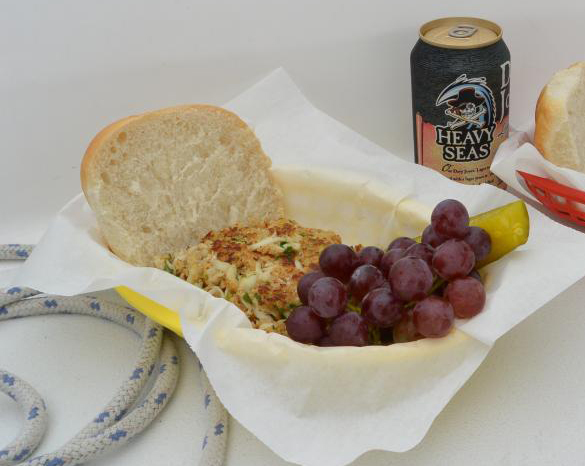 But if that’s not available in your local market, and you have the time and ingredients to make crab cakes from scratch, the recipe above is the best! 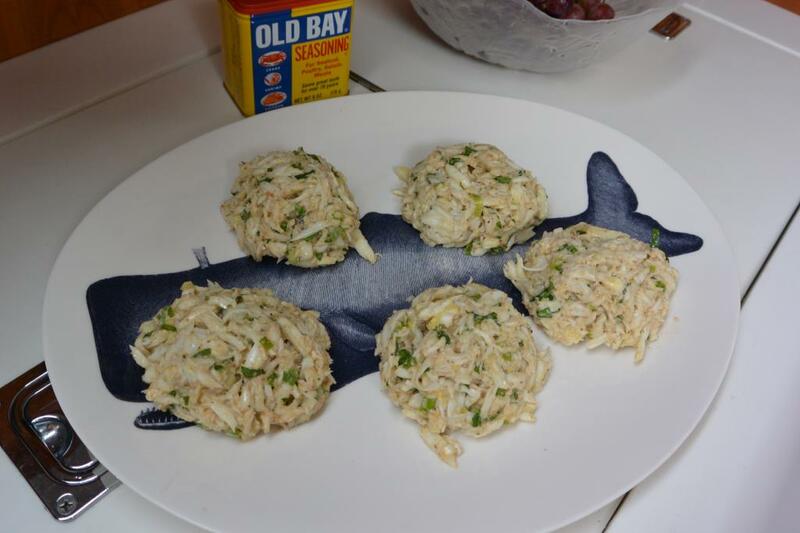 Keep in mind, the key to perfect crab cakes is that delicate balance of just enough filler to hold it together with uber amounts of back fin crab meat. 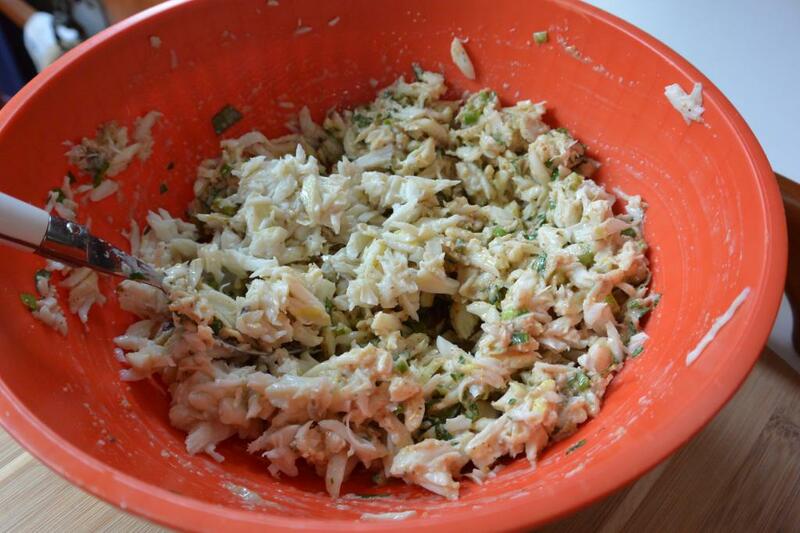 Mix the parsley, scallions, egg, mayonnaise, bread crumbs and Old Bay Seasoning together. Shape into cakes. 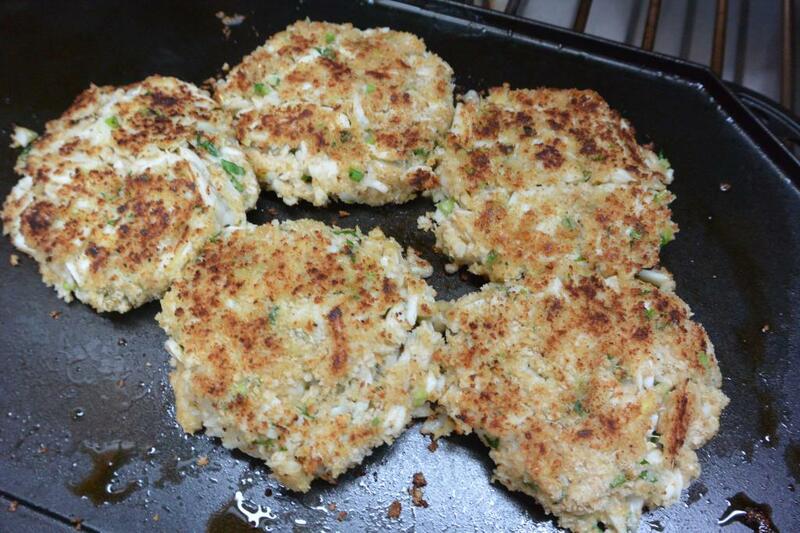 Coat the cakes with regular or Panko bread crumbs. 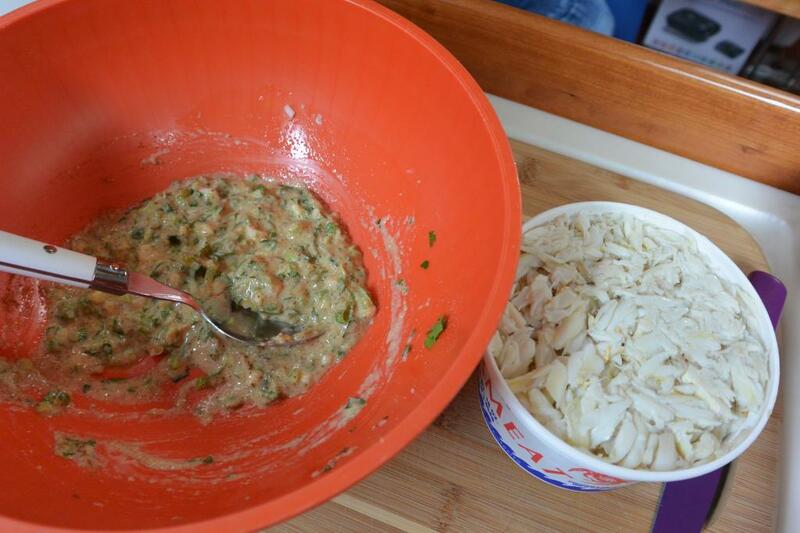 …until browned and heated through. Place in buns with tarter sauce, lettuce and tomato. Or instead of buns, the traditional waterman’s way, with Saltine crackers. 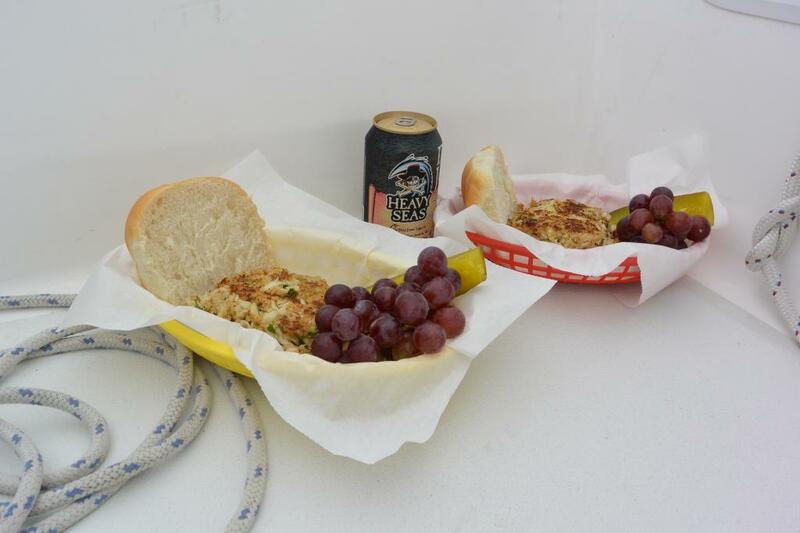 The paper-lined plastic baskets work great for serving, like the old “drive-in” A&Ws. Nothing to wash. Nothing to break. Heads up, Tolley Point is coming up fast.